Having the right 3D design software is crucial to help you create the perfect 3D model. A 3D model can be described as a model which portrays an object in a 3D graphical mode and the process of developing 3D models is what is known as 3D modeling. Used in industries like 3D printing, interior design, architecture, film, gaming, and animation, 3D models are essential components of digital production. 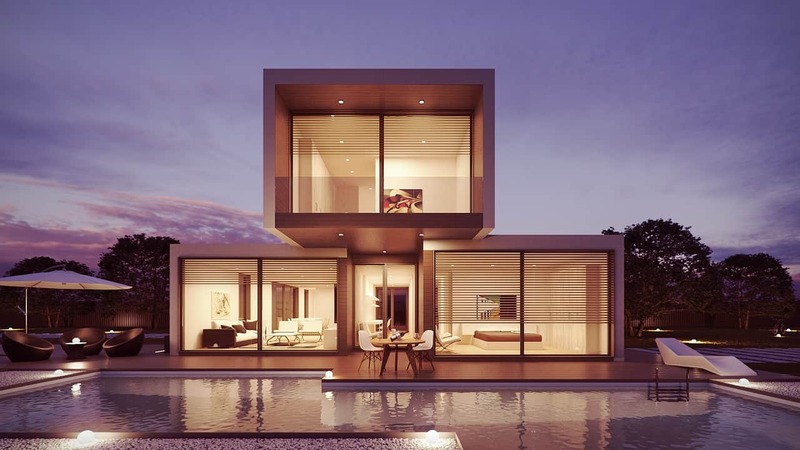 As you all know, 3D modeling has immensely evolved with the advancement in technology and their use has now transcended to more industries including medicine and architecture. If you are in the search for a good 3D modeling software, you will soon realize that there are tons of them. Choosing the right software might not be as easy as it sounds due to the wide array of features and various aspects found in these tools. In this article, we will introduce you to the top 10 best 3D design software. Free 3D design software for 3D modeling: which one to choose? 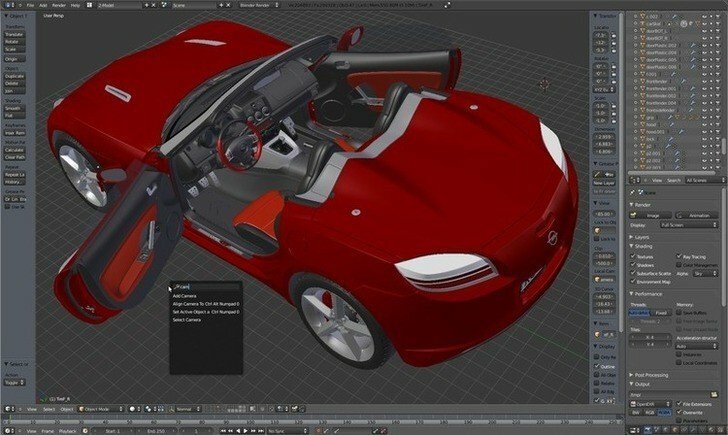 What features are important for 3D design software? Is there a difference between free and paid 3D animation tools? Is it for engineering or design purpose? What type of modeling can you use? Does 3D software have a timeline editor? Can you use it for movie/animation production? Daz Studio is a free and feature-rich 3D modeling software that might not go easy for beginners but offers advanced functionalities for professionals. It enables users to create fantastic 3D art with GPU accelerated real-time rendering and lifelike results. Besides 3D Morphing, posing, animation, and rendering functionalities, Daz Studio enables you to become a proficient 3D artist with the help of the in apps interactive tutorials. The software supports Windows and Mac OS X and is available as a freeware. For more information, we suggest you take a look at their official website on the link below. 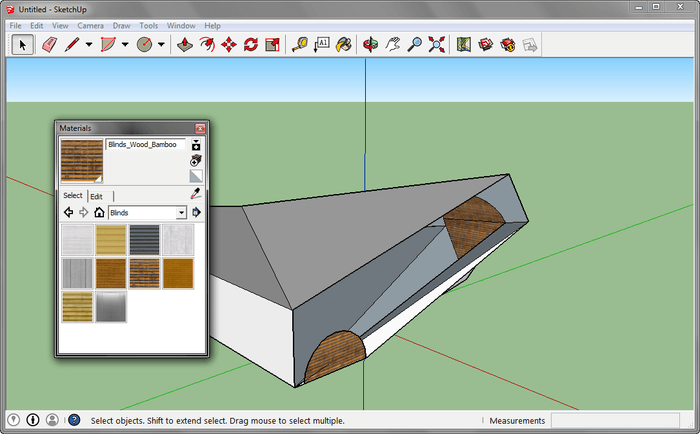 SketchUp is one of the best and top rated 3D design software. Available in both free and paid versions, SketchUp can be used for a wide range of drawing applications such as film, video game designs, interior design, architecture, civil, and mechanical engineering. This 3D design software supports third-party plugins programs, allows surface modeling in various styles, and also offers drawing layout functionalities. There is also an open-source library called 3D warehouse where users can collaborate and contribute models. 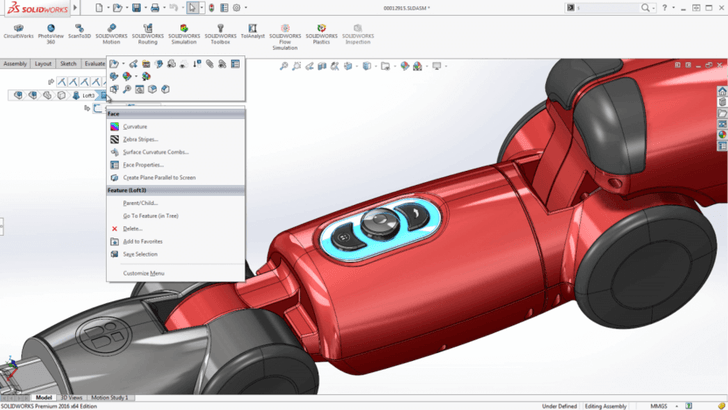 SolidWorks is the most popular 3D design software and comes with a ton of user-friendly features that makes it the best 3D modeling software. Developed and published by Dassault Systemes, SolidWorks is a computer-aided engineering (CAE) and computer-aided design (CAD) program that runs on Microsoft Windows. The huge collection of tools makes it a perfect asset for designers and engineers. Its ease of use is remarkable, thanks to the provided SolidWorks tutorial, videos, PDF guides and the various options provided to modify the quality of the final model. Blender is a free and open-source 3D design modeling software and one of the most reliable and versatile programs around. Once you study it well, you will realize it can do more than you can handle, from 3D animation to designs for 3D printing and more. The huge community behind the success of Blender ensures constant development and improvement of the software. The community can also be very helpful in troubleshooting and in providing important tips on how to get the best of Blender. 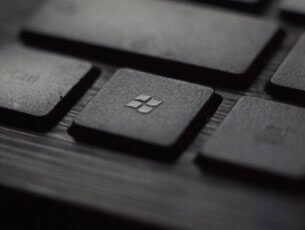 You can install add-ons to unlock numerous functionalities and extensions depending on your project. 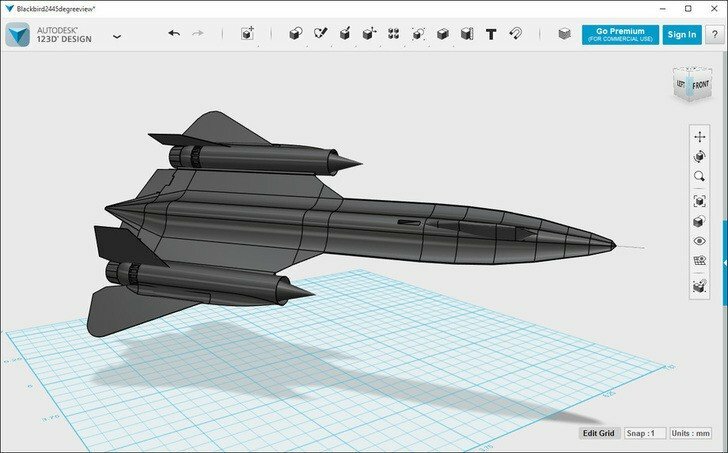 AutoDesk 123D is a computer-aided design (CAD) program that offers a ton of 3D modeling tools and even has support for 3D printing technology. The website offers more than 10,000 free 3D models that you can use or customize to your likings. There are also tons of amazing free apps that you can use if you want to start from scratch. AutoDesk 123 is available for Windows, OS X, Linux, iOS, and Android. FreeCad is a parametric 3D design software that can be used to design real like objects of any size. Since it’s a parametric modeler, you can easily change your model’s parameters by going back into your model’s history. 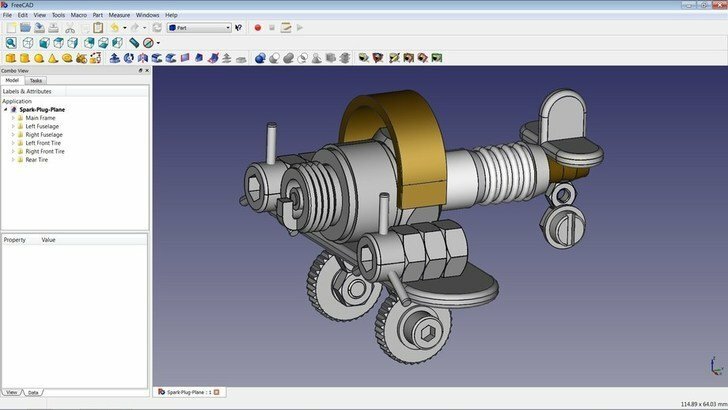 Available for Windows, Mac, and Linux, FreeCAD is an open-source tool that can be used to make 3D gaming models, architectural models, industrial models, and animation models. Some of the primitive objects which it provides include Box, Sphere, Cone, Cylinder, and Torus while the image modifying tools include Thickness, Cut, Fillet, Extrude, Fuse, Boolean etc. Being a multi-platform product, it can read and write multiple file formats such as IGES, STEP, DAE, IFC, OBJ, DXF, SVG, STL and many others. 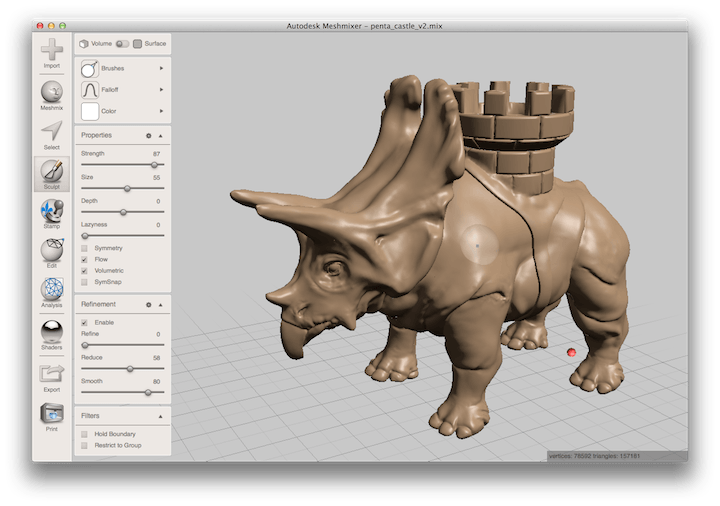 MeshMixer is a state-of-the-art 3D modeling software that creates robust 3D designs for 3D printing. It comes in handy when you already have a 3D model as it enables you to modify and repair the model to suit your needs. However, you can also use it to create from scratch since the software provides all the requisite tools. There is an entire part of the program that is dedicated to 3D printing. You can use this part to analyze your design to check for problems in your model and to see if your model is complete for printing. MeshMixer comes with a long list of 3D design tools which include tools for measuring stability and thickness, mesh smoothing, brushing tools among others. Best of all, the software is free and available for Windows, Mac OS X, and Linux. 3DReshaper is a robust and affordable 3D design software dedicated to the processing of 3D models. Its flexibility allows it to be used in various industries including shipbuilding, civil engineering, mining, arts, etc.It packs a lot of features and supports many scripts for easy modeling. 3DReshaper actively processes 3D point clouds coming from various sources such as UAVs, laser scanning, 3D scanners or from any other digitization devices. 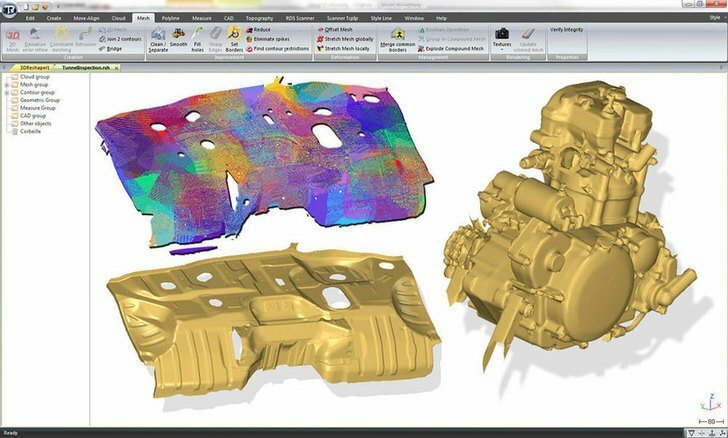 Since point cloud processing is the most important step to handle, 3DReshaper provides powerful functions such as Fusion and Automatic Segmentation to help process point clouds. DX Studio offers a complete development environment for developing interactive 3D graphics. 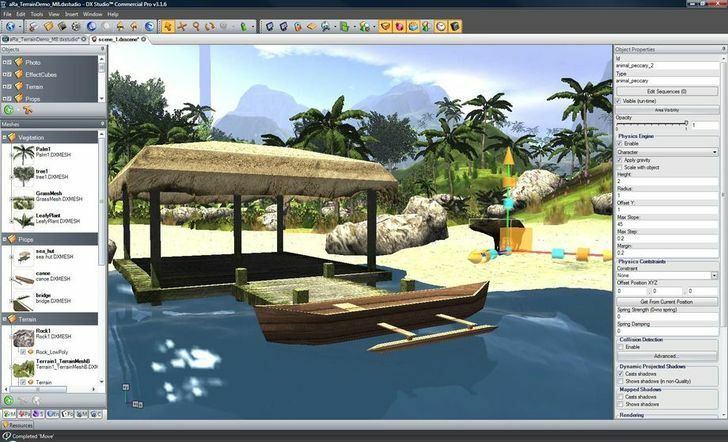 The software comprises of a set of editing tools and a real-time 3D engine. Using DX Studio, you can make intuitive 3D models, 3D games, 3D animations, etc. easily. 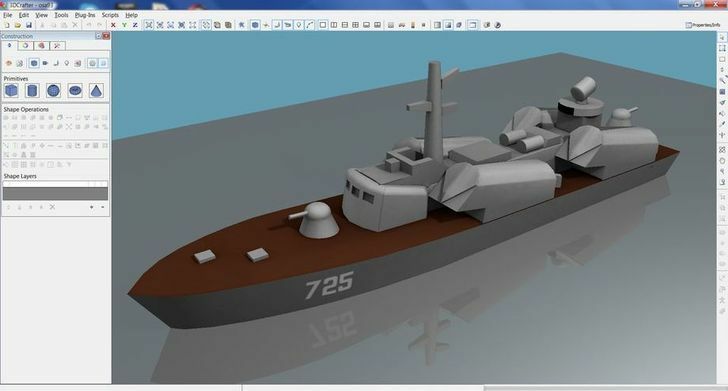 It does not only provide a wide range of 3D models but also tools for making these models. It also lets you create two or more models simultaneously. Among the many tools for 3D modeling available, you will find tools for creating special effects, terrain system for adding vegetation and rocks to your terrain, and a real-time editor for 2D and 3D scenes. 3D Crafter is a powerful 3D modeling and animation tool that incorporates efficient drag and drop functionalities for ease of use. Your starting basic shapes are a cube, cone, sphere, cylinder, or torus. You can easily drag and drop these shapes into your workspace where you build and mold the final model. There are many tools provided and all are labeled so hovering over them will give you an idea of what each tool does. For beginners, this is the best tool you can use since it provides tutorials for all levels and also has a help menu integrated with search features. We’ll end our list here. We hope that the information listed above helped you to decide which 3D animation software to download on your computer. It is worth mentioning that running animation tasks on your computer requires powerful hardware. Make sure that your computer is equipped with a reliable GPU card so that it can properly run 3D animation software. In choosing the right 3D modeling software, it is important to first determine the purpose for which you want the program. This is because most of these programs are geared towards engineering or art. File conversion is also a very important factor to consider. If you intend to 3D print the part you design, bear in mind that 3D printing uses the STL file type. Though with cost come more features, there are so many free 3D design tools that can precisely get the job done. Most of these free tools are best suited for beginners since they come with inbuilt apps and tutorials for learning. The list above highlights some of the best free 3D design software available on the internet. Editor’s Note – This article has been originally published in November, 2016. We have recently updated it to include even more free 3D design software for Windows PC users.